Sage Summit San Diego will take place will take place at the Sheraton San Diego Hotel & Marina on Wednesday, February 13th – Friday, February 15th 2019. 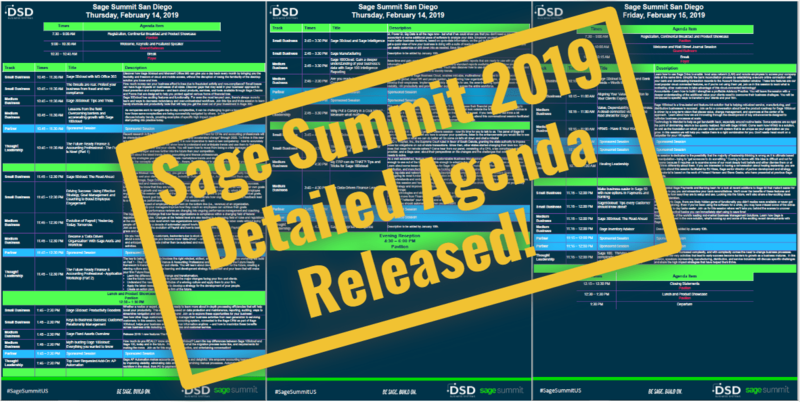 In November, we outlined the preliminary details and a high level schedule of the first of two Sage Summit sessions in the US: San Diego, CA in February 2019 and Atlanta, Georgia in May 2019. Sage recently updated the agenda to include detailed courses descriptions and tracks specific to Small Business owners, Medium Business owners and those interested in Thought Leadership growth. 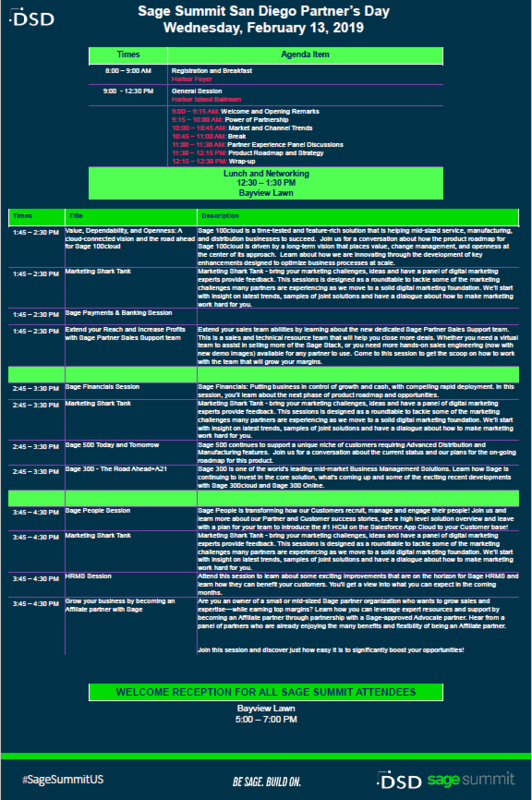 See the detailed attendee agenda here. 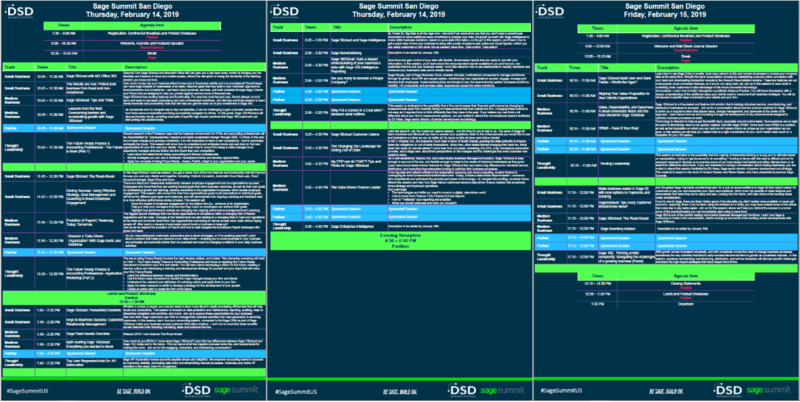 There are also several time slots where Sage Endorsed Solution Providers will host valuable sessions on topics relating to trusted enhancements available – like DSD’s Multi-Bin Basic Module designed to work exclusively with Sage 100c. Before the welcome reception for all Sage Summit Attendees on Wednesday, February 13th, there is a jam-packed agenda of partner-only enrichment. Sessions topics range from marketing to the road ahead for Sage 100c, Sage 300 and Sage 500 as well as HRMS and more. See the detailed partner day agenda here. Refer to the Sage Summit FAQ for answers to commonly asked questions. If you would like additional information, contact us today!